Building or repairing a roof so that it’s durable, safe, cost-effective and compliant with regulations is a serious investment. That’s why your starting point should be to ensure your roofing contractor is experienced and qualified. When you hire a roofer, you should ask them the following questions before you sign the contract. It’ll prevent unforeseen catastrophes, costs, and time delays. 1. Are you a licensed contractor and a member of a trade organisation? All roofing contractors are required to hold a license for the states they operate in. Your local government office can provide the relevant information if your roofer can’t prove their license is up to date. 2. How long have you been a roofer? Experience counts. Knowledge and skill will ensure you can expect good quality work that meets your expectations. If a roofing contractor has been trading for many years, it’s a good indication that they are reliable and ethical in their work. Research shows that nine out of 10 roofers go out of business within their first year of business. Stick to those with years of experience and substantial business success behind them. 3. Can I contact references? Ask your roofer if you can contact previous clients. Nothing beats a first-hand recommendation, and they may also provide you with insight on how to best work with your roofer and if they encountered any issues. If your potential roofer declines to give you a list of customers, don’t hesitate to reject them. Scary fact. You’ll be liable for your roofing contractor’s medical expenses if he or she suffers an injury on your property. You’ll also be responsible for any damage they inflict to your property. Don’t be caught out. Ensure they have general liability insurance before you sign on. They should be able to provide you with a certificate detailing their insurance coverage. 5. Do you do onsite inspections and draw up formal cost estimates? If your roofing contractor offers you a written quote without having inspected your property, warning bells should ring. Of course, you can give them details of the shape, size, and condition of your roof over the phone. When they see it in person, they’ll be able to provide you with a more accurate quote. Always ask for a written, detailed quote before you sign up with a roofing contractor. 6. Do you offer a warranty or guarantee? Your roofer may confirm that the manufacturer offers a warranty. Ask if this covers workmanship and material. If it only includes the materials, ask your contractor to provide a two-year workmanship warranty and keep a copy in a safe place. 7. Do you need to replace my roof, or can it just be repaired? Ask your roofer for his or her opinion. A series of repairs as needed could be an option for your roof. Simply replacing damaged shingles will extend the life of your roof by up to 15 years. If the damage is more severe a partial re-roofing may be required. The final option is a full roof replacement. 8. What roof system are you proposing? How will it be installed? If a complete re-roofing is recommended, you’ll have a big decision to make. Should you tear the old roof off, or should you install a new roof over it? Industry regulations limit you here. You can’t put a new roof over more than two roof-covering applications. This means you’ll have to remove your roof if you have two layers of shingles. 9. What are the contingency plans if the job takes longer? A roofer can’t always guarantee they won’t encounter unexpected issues with your property. This can result in delays. If you state your expectations up front and agree on them in a contract, everyone knows where they stand. Discuss various scenarios with your potential roofer and ask how they would handle each situation. 10. What’s your working style? 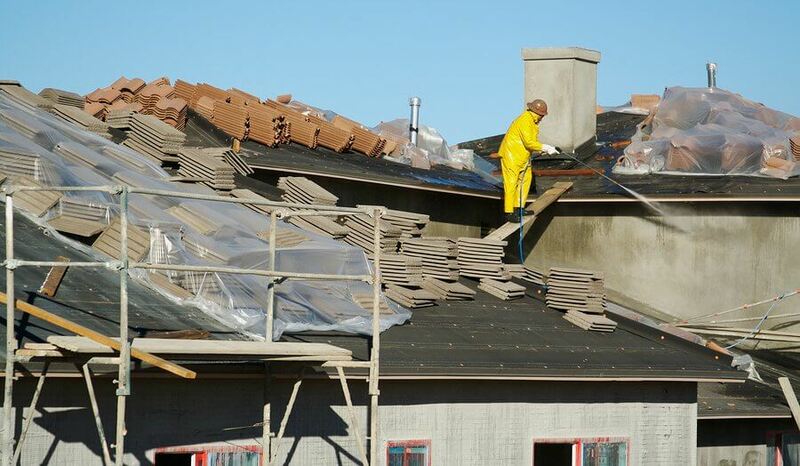 You need a roofer that can accommodate your work schedule and lifestyle. Ask as many questions as you can to establish if they’re a good fit. What are their working hours? How many team members will be on the job? Who’s responsible for removing debris and cleaning the site? Are these costs included in your quote? Asking your potential roofer these ten questions will cut out any ambiguity and ensure all your expectations are met. Armed with this information, you’ll also be able to plan for every eventuality or cost before they begin the job.